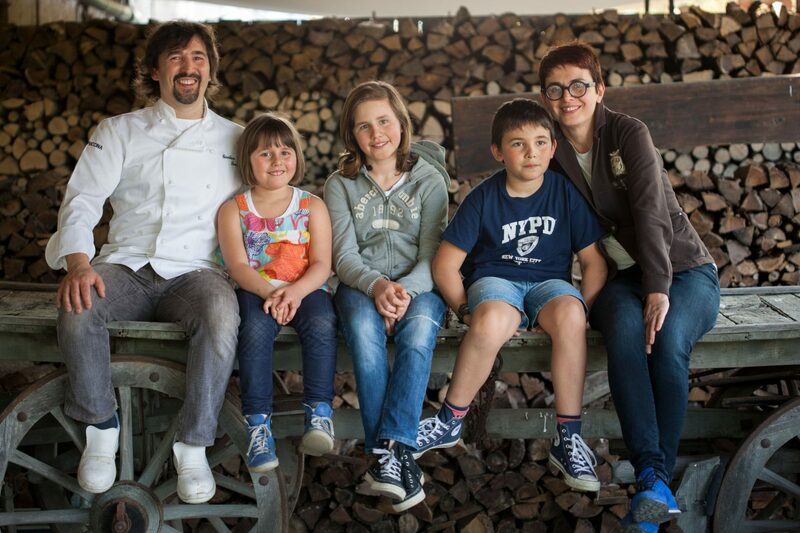 Seriousness, honesty, quality: the people behind La Capuccina. My name is Gianluca Zanetta and I was born in ’69 into a family of restaurateurs. Raffaella and I had the dream of giving life to a project together, something that was ours. Thus we gave up the prospect of careers in the field of fabrics and at thirty-three years of age we renovated a fourteenth century country farmhouse owned by my family and transformed it into a proper agritourism. We became direct farmers, breeders, wine producers and restaurateurs. Today we have grown: fifteen employees, new lands for our animals and for the crops and a lot of experience gained, overseas as well. Time has rewarded our bravery.